You are here: Home / Blog / Book Reviews / June is GLBT Book Month! CHICAGO — The American Library Association (ALA) has designated June 2015 as GLBT Book Month™, a nationwide celebration of the authors and writings that reflect the lives and experiences of the gay, lesbian, bisexual and transgender community. GLBT Book Month™ is an initiative of the American Library Association and is coordinated through its Office for Diversity, Literacy, and Outreach Services and the Gay, Lesbian, Bisexual, and Transgender Round Table. 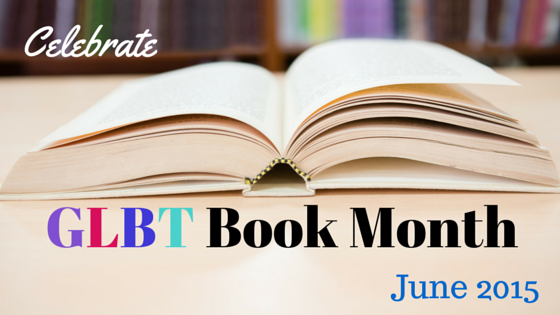 Originally established in the early 1990s by The Publishing Triangle as National Lesbian and Gay Book Month, June 2015 will mark the first commemoration of GLBT Book Month™ to be held under ALA’s auspices. To help libraries mark the occasion, ALA has launched the GLBT Book Month online resource center, featuring tipsheets and downloadable materials. Also featured will be an ALA Graphics poster and bookmark available for purchase highlighting “This Day in June,” written by Gayle E. Pitman, illustrated by Krystna Litten, and published by Magination Press, an imprint of the American Psychological Association. Pitman’s book about gay pride is the 2015 winner of the Stonewall Book Award, Mike Morgan and Larry Romans Children’s and Young Adult Literature Award. GLBT Book Month will culminate with many GLBT events and programs at ALA’s 2015 Annual Conference in San Francisco. ALA will kick off its annual conference’s Opening General Session with speaker Roberta Kaplan, “superstar litigator” and adjunct professor at the Columbia Law School whose involvement in United States v. Windsor helped to overturn the Defense of Marriage Act (DOMA). Other programs at Annual Conference will include a preconference on library outreach to GLBT people, sessions on curating the history of GLBT activism, the evolution and acceptance of collecting LGBT materials in libraries, use of GLBT materials in libraries, serving transgender patrons and the Stonewall Book Awards Program. ALA’s support of quality GLBT literature includes the awarding of the prestigious Stonewall Book Awards, which have honored the very best in gay, lesbian, bisexual, and transgender books since 1971, including adult literature, non-fiction, and children’s and young adult titles. Additionally, ALA compiles two annual bibliographies of notable GLBT books, including the Rainbow Books list featuring recommended titles for children and young adults, and the Over the Rainbow book list for adult literature and non-fiction titles. To learn more, please visit www.ala.org/glbtbookmonth. The American Library Association (ALA), the voice of America’s libraries, is the oldest, largest and most influential library association in the world. Its approximately 56,000 members are primarily librarians but also trustees, publishers and other library supporters. The association represents all types of libraries. Its mission is to promote the highest quality library and information services and public access to information. The Gay, Lesbian, Bisexual and Transgender Round Table of the American Library Association is committed to serving the information needs of the gay, lesbian, bisexual and transgender professional library community and the gay, lesbian, bisexual and transgender information and access needs of individuals at large. GLBTRT is committed to encouraging and supporting the free and necessary access to all information, as reflected by the missions of the American Library Association and democratic institutions. The GLBTRT was founded in 1970 and is the world’s oldest professional organization for GLBT people. https://nigra.org.uk/wp-content/uploads/2016/01/logo2.png 0 0 ACOMSDave https://nigra.org.uk/wp-content/uploads/2016/01/logo2.png ACOMSDave2015-04-06 09:22:152015-04-06 09:22:15June is GLBT Book Month! Do LGBT people use NI Libraries? If so, what are your views? What Does the Northern Ireland Assembly Know on Homosexuality?